The Dr. Vera King Farris Fellowship program is named after the third president of Stockton University, who served the institution for two decades, A native of Atlantic City, New Jersey, Dr. Farris oversaw Impressive growth at Stockton; she increased overall enrollment by 40%, SAT scores by 22%, admission of students of color to 17%, and added the first six Master's programs, including the first MA in Holocaust and Genocide Studies in the United States, during her tenure. Dr. Farris, a renowned leader, received many awards for both academic and administrative accomplishments, in honor of which the Board of Trustees renamed the University's main road from College Drive to Vera King Farris Drive following her death in 2009. In addition to her work in higher education and in science, Dr. Farris was dedicated to the advancement and the equality of all people and cultures, to the study of holocausts and genocides across the globe, and to her work with her church. In her memory, the Dr. Vera King Farris Fellowship awards deserving scholars an opportunity to showcase their research and to teach on a campus fully committed to diversity and inclusion. This Is a non-renewable, one-year appointment. Fellows will work with Stockton University faculty and students during the term of the Fellowship. The University offers Fellows many opportunities for living in and researching urban as well as suburban environments and for introducing students to urban as well as suburban engagement, community involvement, and service learning. Graduate students or recent PhD/EdD recipients, including those from underrepresented groups, are encouraged to apply for this Fellowship. 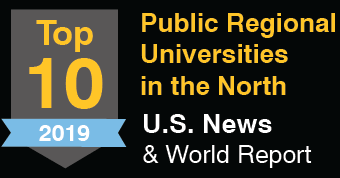 Successful post-doctoral applicants will receive a salary comparable to that of a Visiting Assistant Professor; successful pre-doctoral applicants will receive a salary comparable to that of an Instructor. 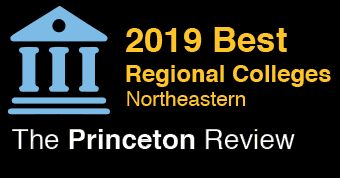 In addition, Fellows will receive office space equipped with computer technology, access to Stockton University facilities, and opportunity for mentoring by a Stockton University faculty member. Teach two courses in the applicant’s area of expertise. Participate in a major project, such as a creative/research project, curriculum development project, community engagement project, or comparable activity. Present the applicant’s work on the Stockton University campus. Last year of completing a PhD or EdD. Degrees from accredited United States or International institutions of higher education. 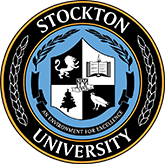 Graduate degree in a major/minor discipline or field offered at Stockton University. No more than two years after completing a PhD or EdD. Cover letter, describing the applicant’s background, approach to teaching, interest in Stockton University, the applicant’s anticipated project, and the contribution the applicant hopes to make during the Fellowship year. Transcripts from all institutions of higher education that the applicant attended. A list of three professional references (included in the application): Name, Organization, Email address and Telephone.